According to the U.S. Coast Guard, in 2017, there were 4,291 recreational boating accidents. As a result of these accidents, there were 658 fatalities, over 2,600 injuries and $46 million in personal property damage. In 2016, there were roughly 5.9 fatalities per 100,000 active, registered boats and this ratio was 5.5 in 2017. Some of the leading causes of boating accidents are due to operators who are inattentive and lack experience, mechanical failures as well as alcohol usage. For these reasons, responsible boat owners and operators are encouraged to maintain comprehensive boating insurance coverage. Arizona has several lakes and rivers that are popular for recreational boating. The National Safe Boating Council reported that Arizona ranked 8th nationally in the number of boating accidents that occurred within the state. Roughly 2% of all boating-related deaths in the nation occurred in Arizona last year. Far too often, boaters simply ignore some of the fundamental safety practices associated with boating. Some examples include having inexperienced boaters or children operating the vessel, failing to wear a life jacket and operating under the influence of alcohol. Unlike car insurance, Arizona currently does not mandate that a boat owner or operator maintain any type of marine insurance. Boat liability insurance is designed to cover damages such as bodily harm to others that is caused by the operator. Many boats are expensive and an insurance policy is critical to protect your watercraft if it is damaged. Since boats tend to be costly, many owners choose to finance their purchase from a lender. The lender will require the owner to maintain proper coverage for their protection. Boats may or may not be included under a homeowners insurance policy. Be sure to review the terms of your policy, as the coverage limits for boats may be insufficient. Weather related: Amid high winds or storms, larger bodies of water often become extremely volatile and troublesome. Vessels on the water during hurricanes have led to thousands of claims in many southeastern coastal areas of the country. Although it is unlikely, a boat may also potentially be struck by lightning. Theft: Larger marinas are attractive to many thieves who seek to steal items such as equipment or electronics. In some instances, a boat itself is stolen. In roughly 90% of the cases, the loss is massive. Striking objects or sinking: A boat may encounter shallow waters and the hull may become severely damaged by striking the bottom. Boats also incur damage when they strike objects within the water such as rocks or trees. A small opening that allows water entry can quickly become a huge problem when a boat begins retaining significant amounts of water. Fires or explosion: The leading cause of boat fires is electrical problems, such as faulty or exposed DC wiring. Highly flammable fuel can also ignite and cause tremendous damage to your boat. The categories of coverage for boats are very similar to the various types of automobile insurance. Bodily Injury Liability & Medical (Med) Payments: Bodily injury (BI) is a form of liability insurance. BI coverage pays for costs such as medical expenses or wage losses in a boating accident where the policyholder is found to be at fault. Med payment coverage is designed to pay for injury-related costs from a boat accident without regard to fault. Property Damage: This is liability coverage used when a policyholder is deemed financially responsible for property damage. For example, your boat inadvertently strikes a dock and causes damage. Collision or Personal Property: This type of coverage pays to repair or replace damage to your boat. What if your boat or some equipment is stolen? This coverage will reimburse you for your losses, unless the insurer offers a separate insurance option specifically for theft. Fuel Spill & Emergency: Would pay for “clean up” efforts if your boat were to develop a fuel leak and cause contamination. This coverage is often bundled with emergency assistance coverage to pay for services such as towing, removal and transportation of your boat if it becomes disabled. Uninsured Boater: This coverage would be used to repair or replace your boat if another operator was responsible and does not have insurance coverage. It is a practical type of coverage in Arizona because boat insurance is not a state requirement like automobile insurance is. If your boat is damaged beyond repair (a total loss) or stolen, you would file a claim for replacement. If you have an actual cash value policy, the amount the policy would pay is equivalent to the current market value for the watercraft. Boats depreciate over time just like cars. The current market value is likely to be well below what you originally paid for it. With an agreed value policy, the amount the insurer will pay for replacement is a fixed amount agreed upon in the contract. Be sure to understand your policy terms to avoid any surprises in the event you need to file a claim. The insurance claims process for watercrafts can be somewhat more complex than those involving cars. The market for boat repair parts is smaller and there are less options and fewer repair service providers. Boat owners often find repair costs to be considerably higher than they may anticipate or expect. In the event that you must file an insurance claim, it is best to do so shortly after the accident occurs. You should contact your provider by phone or online to start the claims process and receive a claim number. You may be assigned a claims representative at this time. If physical damage has occurred, it is often beneficial to take photos for reference and documentation. Always seek medical attention even when your injuries appear to be mild. Keep in mind that you should avoid any unnecessary delays in contacting your insurance claims department. The insurer may have a field representative or a claims adjuster investigate the incident and review the damage. For minor claims, the insurance company may allow you to proceed with the repairs after providing the insurer a repair cost estimate. If the repairs are costly, the insurer may require that you obtain multiple quotes or estimates. 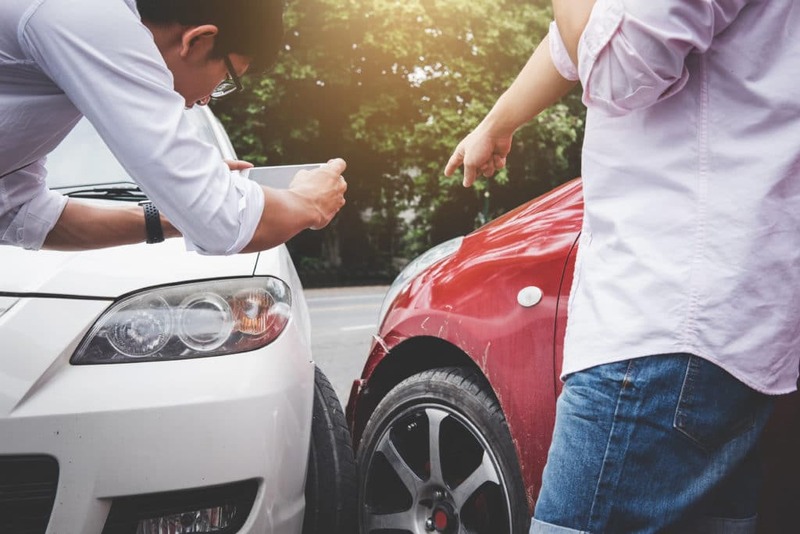 Avoid using repair or body shops that predominantly focus on repairing vehicles, as the quality of the work may not live up to your expectations. Is Your Boat Trailer Covered? Another critical policy detail is whether the trailer used to transport your boat is included in the policy. Many insurers require an additional coverage option, which will slightly increase the premium price. It is also possible that your car insurance may include or provide optional coverage for a trailer. Those who are renting a boat should also consider the potential liabilities involved. This situation also is one that should be addressed prior to an accident, potential claim or coverage denial. If you have an up to date boat insurance policy, it will likely provide liability coverage if you are operating the boat; however, damage to the vessel may not be covered. Be sure to verify the details with your agent. Most boat rental locations require a security deposit ranging from $200-$500. This deposit is unlikely to cover any excessive wear & tear or significant damage to the rental boat. One possible option is to obtain temporary coverage from the rental site. For example, Arizona Boat Rentals makes it clear that renters are responsible for damage and offers an insurance coverage option through a third-party. A boating accident may quickly spoil a fun day on the water. In these situations, it is critical that a comprehensive boat insurance policy is in place from a reputable insurance company. The Gebhardt Insurance Group in Casa Grande provides boating insurance that will protect you from liability and protect your boat. Contact our office today to speak with an agent about all of your insurance needs at (520) 836-3244.